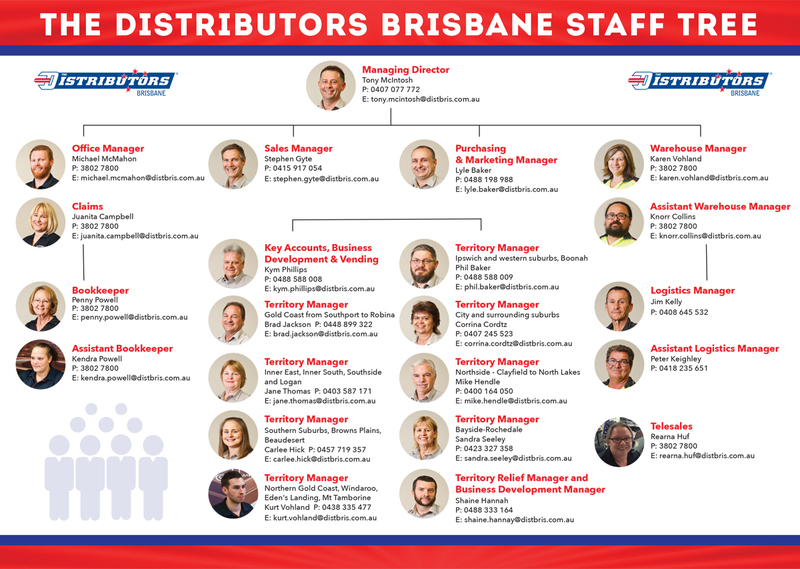 Who Are The Distributors Brisbane? We are a 100% Queensland owned and operated business servicing the route, petrol and convenience and independent supermarket trade in south east Queensland. 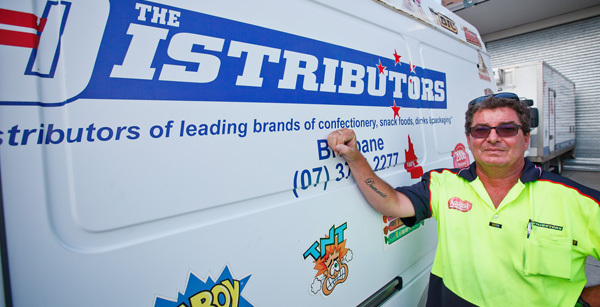 For the past 11 years, The Distributors Brisbane has ranged and delivered over 4500 confectionery, snack foods, beverages and groceries products to over 3000 customers, via our own fleet of climate controlled vehicles. Our business has received numerous national service excellence awards by retailers and manufacturers. 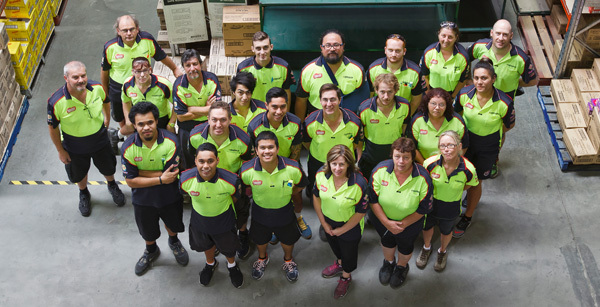 By choosing The Distributors Brisbane as your distributor, you can be assured that your business is being serviced by a highly motivated and professional sales team dedicated to growing your business. 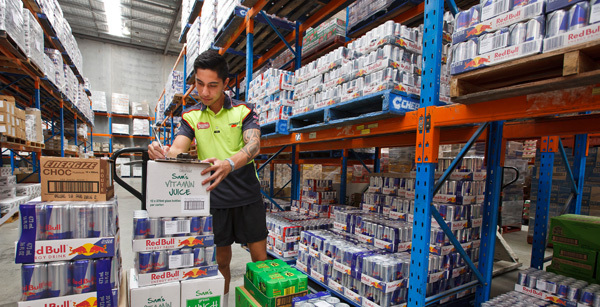 At The Distributors Brisbane, service excellence is our passion. We have dedicated, experienced sales professionals that will physically call on your business as required. We value honesty and integrity and wish to secure long term mutually beneficial trading relationships for today and into the future as your success is our success. Our sales team are highly trained and are equipped with an abundance of product knowledge to ensure you have the best possible range of products, merchandising equipment and competitive price points. Our extensive promotional programs are designed to enhance and cater for all retail sectors and we are equipped with the latest technology and information to add value to your business. brands of confectionery, snacks, drinks, wedding and party supplies. We cover South East Queensland and deliver 5 days per week with a 24 hour turnaround. Meet our highly motivated team dedicated to growing your business.